How about a very trendy Berber style for your bathroom? 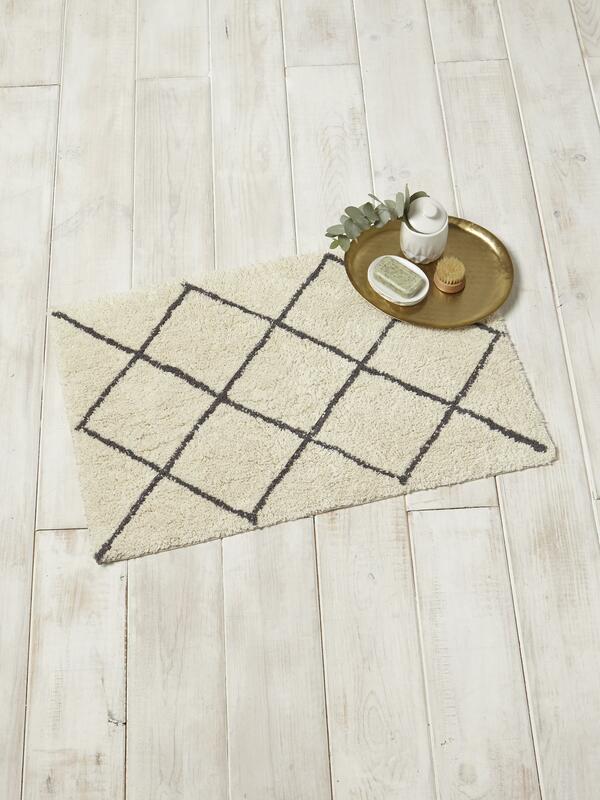 With a latticework pattern, this bath mat is not only practical, it's also highly decorative. Dim. 50 x 80 cm and 60 x 120 cm. Washable at 60°C. The bathroom takes on chic with the Cyrillus bath linens. You'll go for the bath towels and mats that play with elegant colours and embroidery, plush terry towelling for moments of sheer bliss.